While George H.W. Bush's US-dominated New World Order is gradually falling apart at the seams, Russia is emerging as the avant garde of a New World Ordering, based on principles of equality and respect for national sovereignty, F. William Engdahl notes. According to American-German economic researcher and historian F. William Engdahl, this year's St. Petersburg International Economic Forum has clearly demonstrated "the utter bankruptcy" of Washington's political course aimed at isolating and demonizing Russia and its leadership. "What I witnessed not only in St. Petersburg but also in other recent visits to Russia is something I can only call extraordinary. Rather that cower in terror at the endless barrage of attacks and economic and financial sanctions thrown at her, Russia and her leadership are becoming more confident and, crucially, more self-reliant and aggressive in a positive way as never before," the historian stressed. Indeed, turning a deaf ear to Washington's disapproval of Russia's St. Petersburg initiative, some 10,000 participants rushed to join the International Economic Forum, which resulted in over 200 contracts worth $5.4 billion. 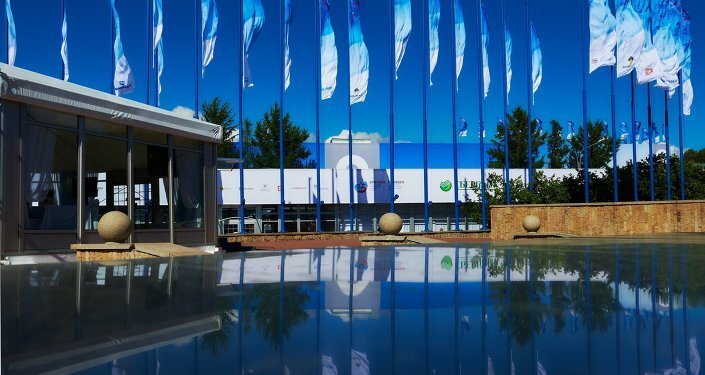 To the surprise of many, Western companies such as Britain's BP and the Anglo-Dutch Royal Dutch Shell, and Germany's E.ON, have inked a number of new lucrative deals with Moscow. For instance, Russia's giant Gazprom signed a memorandum on the construction of a new gas pipeline to Germany through the Baltic Sea with E.ON, Shell and Vienna-based OMV and discussed the necessity for new direct routes for direct gas supplies to Europe with French company ENGIE. "Considering the decline of local extraction of gas in Europe and the increase in demand, European companies need to develop new infrastructure to guarantee Russian gas supply to European consumers," Gazprom said in an official statement as quoted by the economic researcher. On the other hand, Russia's Rosneft has created a new British-Russian energy joint venture with BP. So far, Western companies have sent "a clear signal to their NATO-tied governments that they do not regard Russian sanctions as a hindrance to further cooperation with Russia in development of Russia's vast undeveloped hydrocarbon resources," the historian emphasized. 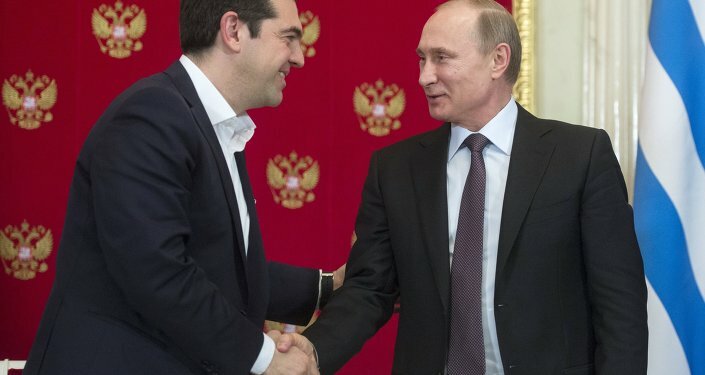 In order to push ahead with the Turkish Stream project, Moscow has also signed a gas deal with Athens, extending its pipeline through the territory of Greece and aiming to create a new gas hub on the territory of the EU country. Despite Washington's attempts to undermine Moscow's positions in the European energy sector, Russia still remains one of the Europe's main "energy catalysts," the researcher stated. However, "one of the most geopolitically fascinating developments around the St. Petersburg forum was the appearance of Saudi Prince Mohammed bin Salman, Defense Minister and son of King Salman," Mr. Engdahl stressed. 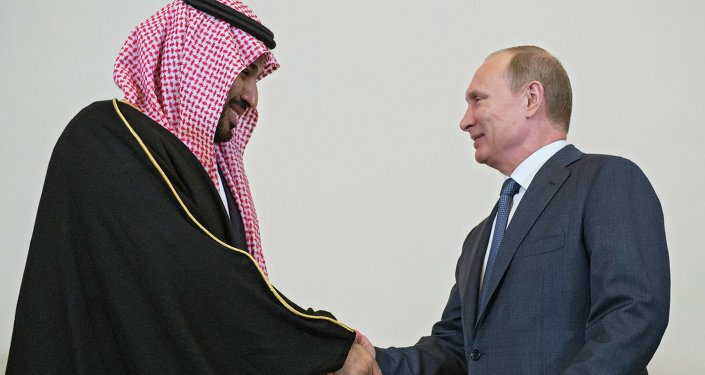 Remarkably, Russia and Saudi Arabia discussed not only the details of future bilateral cooperation in the field of nuclear energy (Riyadh plans to build up to 16 nuclear reactors with Russia's assistance), but also focused on potential arms deals, despite the fact Saudi Arabia has long been considered a primary arms customer of the US and Great Britain. "No doubt the May 9 Moscow parade of the most advanced Russian weapons systems caught the eye of Prince bin Salman," the researcher pointed out. Quoting the old Chinese proverb, "A crisis also presents new opportunities," the historian stressed that Russia is using Western sanctions to breathe new life into its economy. It is obvious that the Western policy of isolation and demonizing of Russia has ultimately failed, he noted. "By pursuing a strategy of making peaceful economic and trade deals with her allies in the Shanghai Cooperation Organization, above all with China; deals within the BRICS states with India, Brazil, South Africa and China and within the Eurasian Economic Union, Russia is emerging as the avant garde of a New World Ordering, one where respect for national borders and national sovereignty again becomes the cornerstone," F. William Engdahl underscored, adding that at the same time Moscow demonstrates its willingness to maintain cooperation with the EU countries and business partners. Washington's and Brussels' accusations voiced against Moscow are ludicrous and groundless, the historian noted, adding that while George H.W. Bush's US-dominated New World Order "is crumbling," Russia is giving birth to the new, multi-polar world. "It's fascinating and quite beautiful to watch," he concluded.